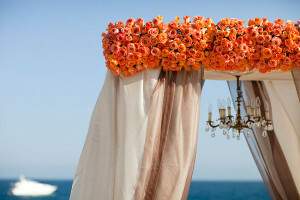 When planning a wedding in Cabo San Lucas, flowers should always be a part of your decor. At Cabo Flowers and Cakes, we of course understand this and know that part of our responsibility when we provide the flowers for your Cabo wedding (whether it’s at a resort, private villa or even on the beach) is to make sure the flowers are delivered in pristine condition! We wanted to take a moment to share with you how we ensure a smooth delivery of your personal flowers (that’s your bridal bouquet, bridesmaid bouquets, boutonnieres, etc.). The main concern for us is that your flowers stay cool in our heat. We know and love Cabo, but let’s face it, it can get very warm here. (It’s one of the reasons we all love it.) Good for us, not so good for our flowers. We also know that you will need your personal flowers for your pre-ceremony photography. 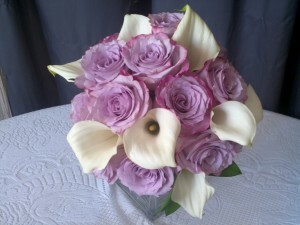 So we want to make sure that your flowers are delivered in time for that, but not too much time before your ceremony. We will work with you (and/or your wedding planner) to determine your flower delivery timeline, but we usually plan on delivering your personal flowers directly to you two hours before your ceremony start time. If you care for your personal flowers early on in the day, they will last beautifully throughout your whole celebration. 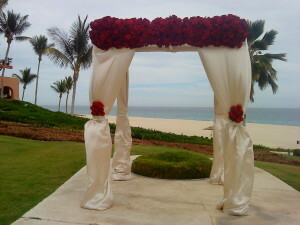 BRINGING YOUR BRIDAL BOUQUET BACK TO THE U.S.A.
You’ve had the most breathtaking wedding in Cabo! 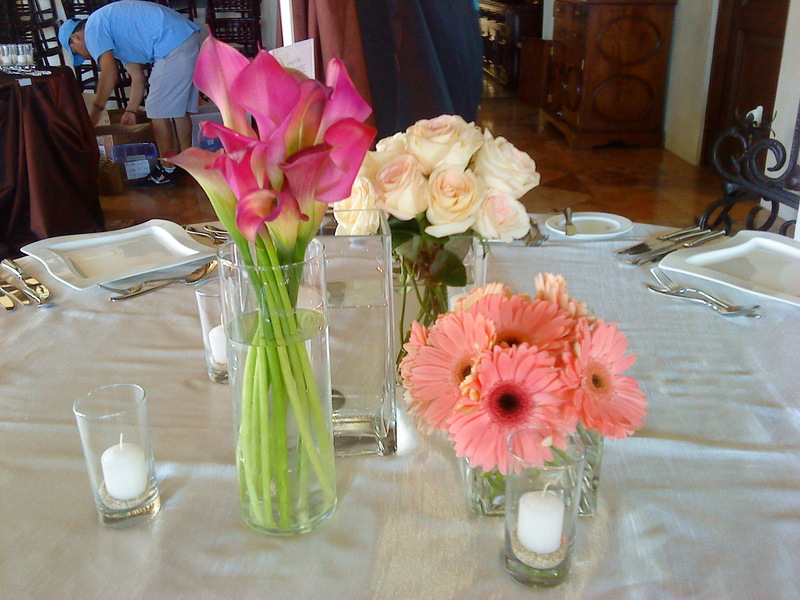 Everything went perfectly, and your flowers from Cabo Flowers & Cakes were truly gorgeous. Now what? 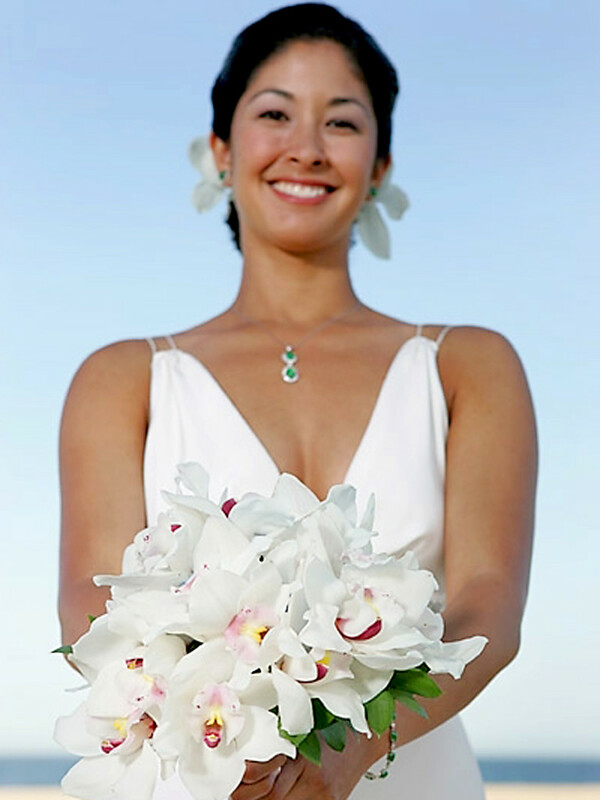 Can you leave Cabo, head home to the U.S. and take your bridal bouquet with you? The U.S. Customs and Border Protection website (www.cbp.gov) is pretty clear about this. Yes, you may bring your bridal bouquet (or any other wedding flowers). BUT… you must declare it, and it may be taken from you and disposed of if it is found to not meet the inspection standards. Certain items brought into the United States from foreign countries are restricted according to U.S. Department of Agriculture (USDA) regulations. Prohibited agricultural items can harbor plant pests and foreign animal diseases that could seriously damage America’s crops, livestock, and the environment – and a large sector of our country’s economy. 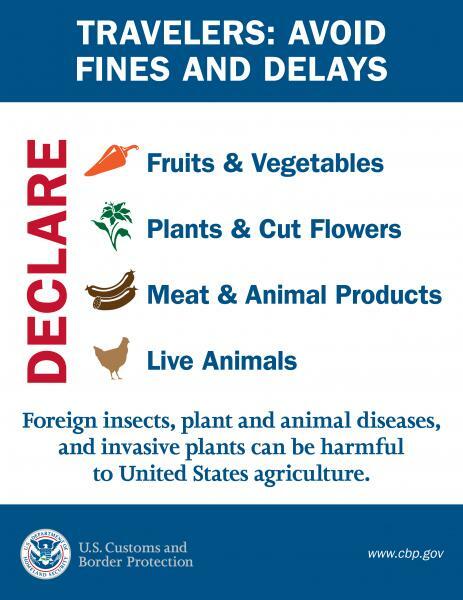 All travelers entering the United States are REQUIRED to DECLARE meats, fruits, vegetables, plants, seeds, soil, animals, as well as plant and animal products (they may be carrying. The declaration must cover all items carried in checked baggage, carry-on luggage, or in a vehicle. Upon examination of plants, animal products, and associated items, U.S. Customs and Border Protection (CBP) agriculture specialists at the ports of entry will determine if these items meet the entry requirements of the United States. Always DECLARE agricultural items by checking “Yes” on Question 11 of the CBP Declaration Form 6059B. Prohibited items that are not declared by passengers are confiscated and disposed of by CBP agriculture specialists. More importantly, civil penalties may be assessed for failure to declare prohibited agricultural products and may range up to $1,000 per first-time offense for non-commercial quantities. So, your best bet is to bring them with you, declare them, and then be ready to give them up if the Customs agent deems them not acceptable to import. Brides, we at Cabo Flowers & Cakes would love to hear your personal experiences. Were you able to bring your flowers across the border? 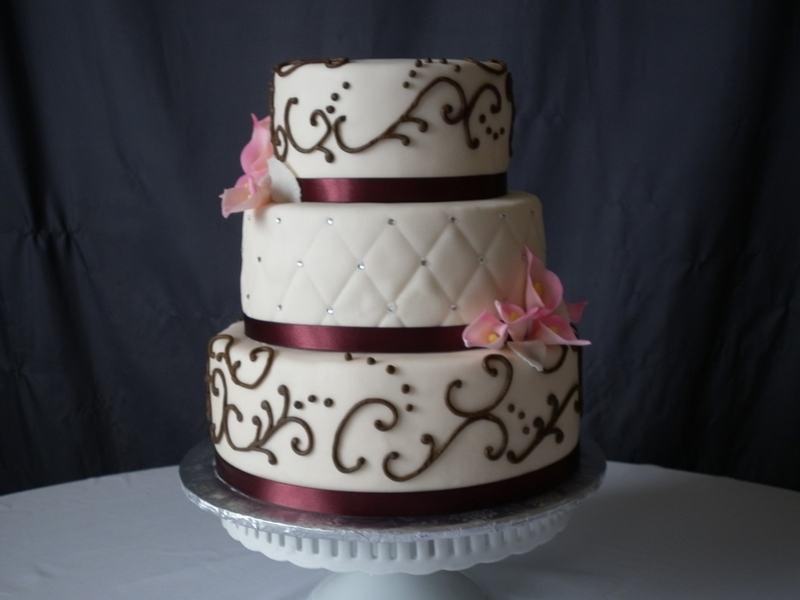 We all love fondant…it’s so pretty and fun, and you can do such beautiful things with it. We love it too! But here’s the truth: fondant needs a cool, dry place to hang out in. And it should not be refrigerated and then brought out to a warm location (like your outdoor wedding location.) This can cause condensation, and no one wants a drippy wedding cake. If you don’t have a cool, dry (emphasis on dry) place at your wedding location (and that can be true for a variety of locations around Cabo), then we suggest you skip the fondant. But our pastry chef can work magic with buttercream, making it look like fondant in many instances. And fondant details (like flowers, petals, leaves, dots etc.) will still work wonderfully, no matter where your cake is stored. The truth about buttercream frosting for your cake in Cabo is that it can be refrigerated (without getting condensation), thus ensuring that it will not melt before the cake cutting. This is key to having the cake of your dreams actually look like the cake of your dreams as it sits upon your cake cutting table. 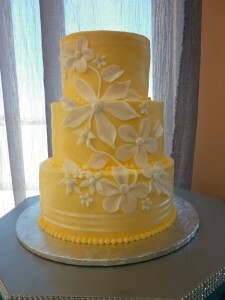 No cake (and especially a Cabo wedding cake) should sit out on the cake cutting table in direct sunlight (ever!) and it should never sit out in general for longer than an hour. Any good wedding planner will know this, but make sure you reconfirm when exactly your wedding cake from Cabo Flowers and Cakes will be brought out for your cutting celebration. 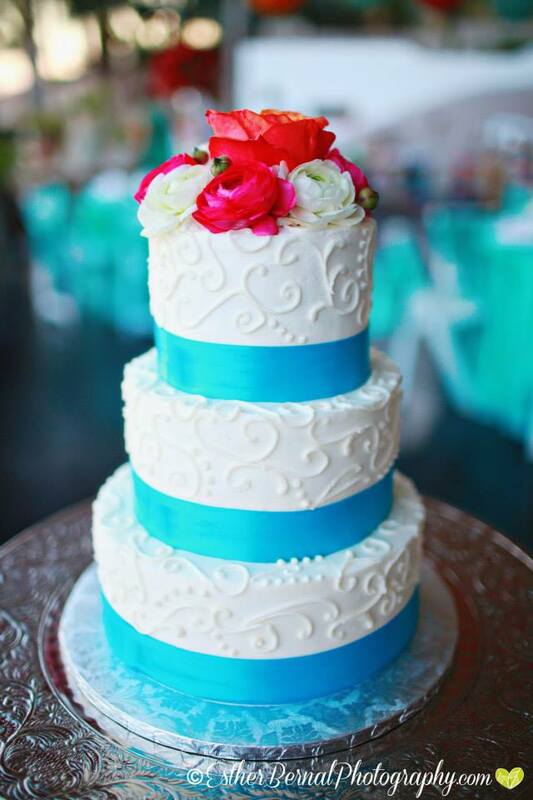 With these helpful hints from our cake expert, we know that your Cabo Flowers & Cake wedding cake will be an amazing addition to your special celebration! Paulina and Michael were high school sweethearts. Her mom owned a house in Cabo, where she had spent many wonderful days and weeks, and so when she and Michael decided to get married, they knew Cabo was the place! El Dorado was a gorgeous option for their ceremony and reception, and so the planning began. 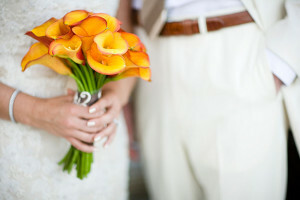 With orange being their primary color, and brown, natural beige, and yellow being highlight colors, we focused on a simple arrangement of just orange/yellow cala lilies for her bridal bouquet . 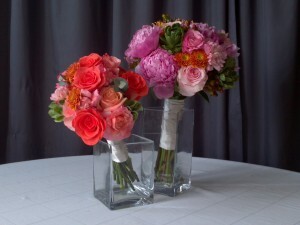 Paulina wanted to let the bright colors speak for themselves, without crowding in lots of secondary colors. We think her approach worked wonderfully! However, when it came time to decorate for her reception tables, Paulina knew that she wanted to create table centerpieces that were spectacular, and that added some additional color to her bronze table linens. She added in white and orange roses, with green cymbidium orchids and draped Belles of Ireland, with alternating dark wood pillars and bronze urns, for a high-low look. 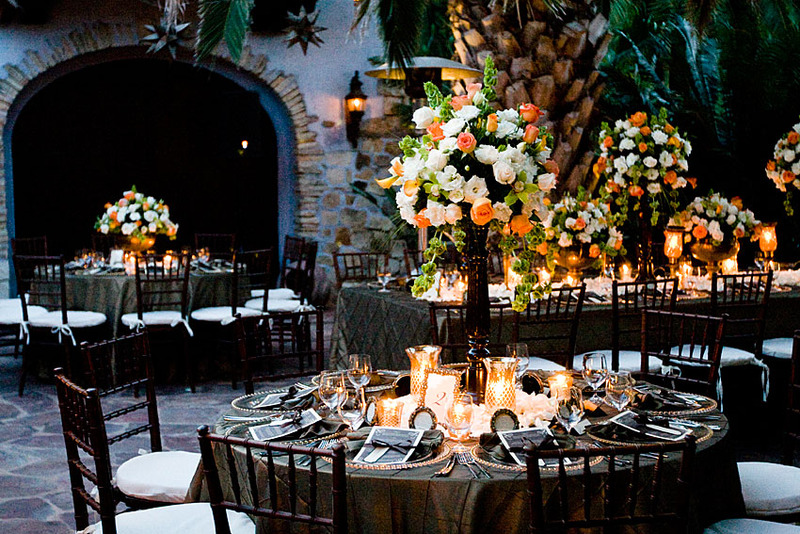 With the glow of her amber candles, the tables were so romantic and carried out her brown and orange theme perfectly! 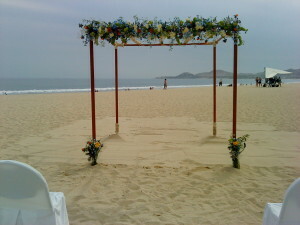 We at Cabo Flowers and Cakes are proud to have been a part of this amazing Cabo wedding! And we’d be happy to re-create this look for you, too! Proud doesn’t even begin to describe how we feel about July’s Employee of the Month, Luis Fernando. 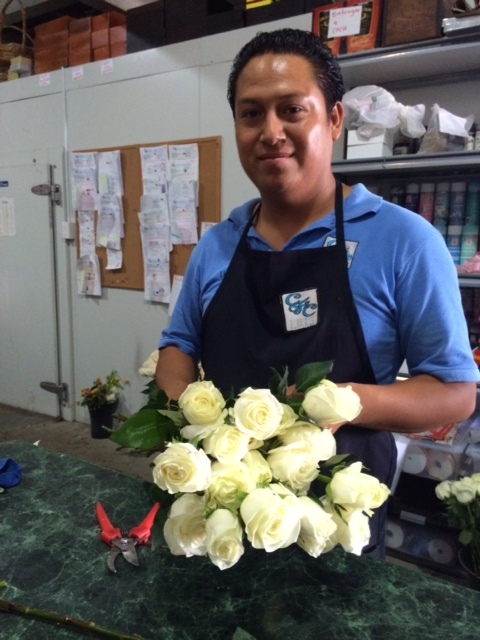 He’s been a member of our Cabo Flowers and Cakes family for four years, and he has grown so much in his knowledge of flowers, floral design, and customer service. When you get some of our beautiful flowers delivered to your event, it helps to know the faces behind the scenes. He loves his job. He creates floral arrangements, makes deliveries, works with clients, and sets up for weddings. His favorite part of the job? Driving the Cabo Flowers and Cakes van around Cabo, making deliveries. He loves flowers. His favorite flower? The Casablanca lily. Why? “Because they are durable (very important when you are a florist!) and smell nice,” he explains. Making clients happy makes him happy. “When a client is happy, then I feel content and satisfied with my job,” he says with a smile. The Pueblo Bonito Sunset Beach Sky Pool is his favorite wedding location in Cabo. This is interesting, because this is not the easiest location to work at (lots of hills going down to the beach, which then, of course, you must go up again as well!) But it is an amazing location and so worth the extra bit of effort! Check it out. Here are some of our favorites…to inspire you, to delight you, and to prove that your chuppah is an important part of your floral decor. We here at Cabo Flowers and Cakes are the Cabo Floral Experts and we get great joy from helping you create the chuppah you’ve envisioned for your Cabo wedding! WHAT ORCHIDS CAN YOU GET FOR YOUR CABO WEDDING? 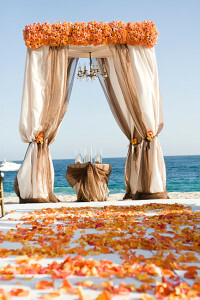 Cabo has a million reasons why it is one of the most popular wedding destinations in the world! We have the amazing temperatures, the crystal clear blue water, the Arch, the Mexican hospitality…and so much more! We at Cabo Flowers and Cakes also know that our flower decor and design can rival the top floral design companies in the good ole US of A. 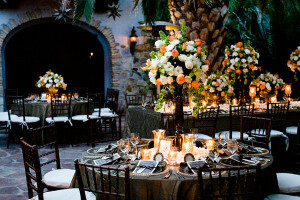 With that being said, however, it is always important for a bride to know exactly what she can expect when she comes to Cabo to get married…in terms of her flower choices and their availability. 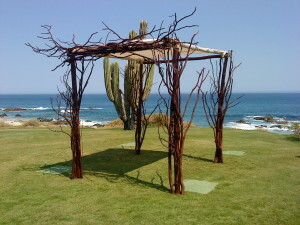 One thing brides may not realize is that on the Baja peninsula, no cut flowers are grown. OK, a few mini cala-lilies at special times of the year, but 99% of the time, we are required to import our flowers from the Mexican mainland and there are limits to the types of flowers that we can get at certain times of the year. We at Cabo Flowers and Cakes love orchids as much as any bride with some time on her hands and a keyboard to Google “orchids.” We love the Eria Orchid and the Lycaste Orchid, and all the bearded orchids too! However, and we say this with a sad face, these are not available to us here in Baja. 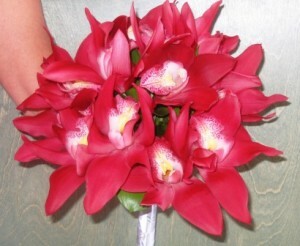 The orchids that are available to us, though, are fabulous and fancy and will make a splash at your Cabo wedding. 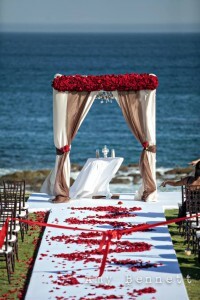 So, which orchids can you get for your wedding here in Baja? 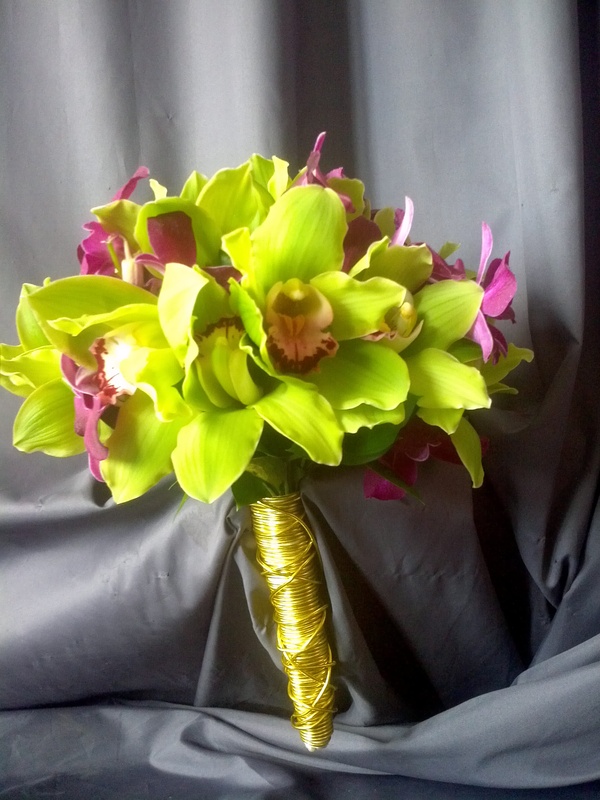 Rest assured that with our creative designs and floral know-how you’ll never miss the orchids we can’t get and you’ll be thrilled with the orchids that we can! Another important note in regard to our orchids: we can also paint or tint with special floral paints to modify and enhance the colors. Just let us know what you need – we are here to create what you want. Here are some wonderful ways that we have created magic with these magical plants…real weddings with really beautiful results! #1 HOW WILL THIS CAKE FARE IN THE WEATHER [ON YOUR DATE]? Different cakes (and frostings) react differently in different temperatures. 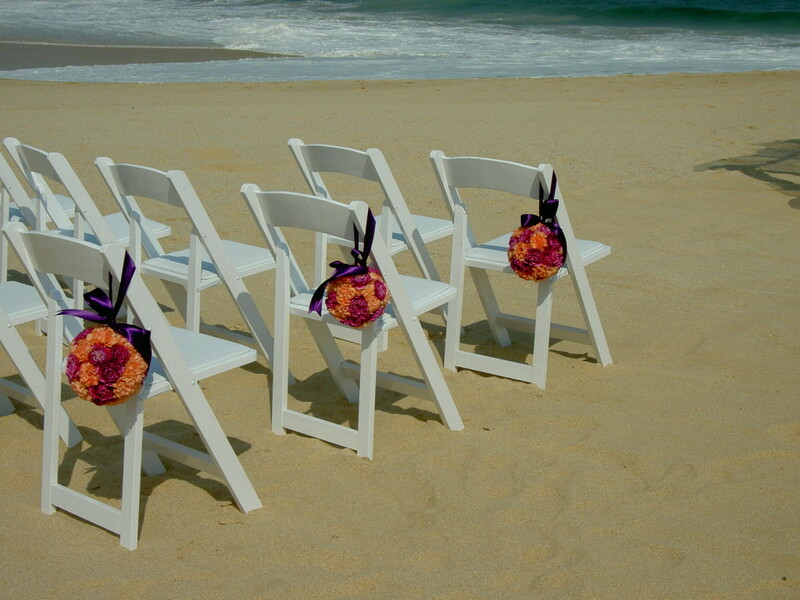 With most Cabo weddings being held outdoors, this is a really important question to ask. Then make sure that the cake you’ve picked out will hold up perfectly during your event’s time of the year. #2 CAN I SAVE (AND TRAVEL WITH) MY CAKE TOP? Tradition says that the top tier of your cake should be saved for your one year anniversary. However, if you are having a destination wedding (like in Cabo), many countries may limit what you can and can’t take back across the border. If you have to check off the box on your Customs form stating that you are carrying back food, this may increase your chances at time in the Customs line. Don’t bring back food. 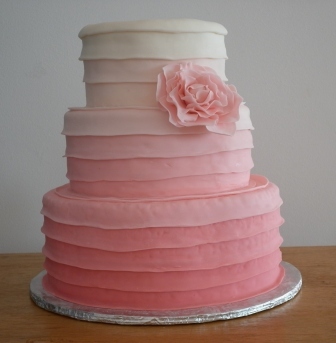 Enjoy your top tier of your cake with your guests at the event, or save it for the day or two afterwards. #3 WHAT IS YOUR SPECIALTY? Your cake baker’s specialty will be that cake that she specializes in, that she is an expert at. It will be the cake that she likes the best and is very proud of. That may be reason enough to trust her and trust that this must be one awesome cake combination for it to be so highly regarded by her. Go for the specialty, at least on one tier! #4 HOW DO YOU PRESENT THE CAKE? In the end, your cake tasting should be fun and informative (and a great way to get your groom involved as well.) We all love a great slice of cake! At Cabo Flowers & Cakes, we love a tasting too because it gives us a chance to make sure our couples are happy and in love with their cake choices.